What will Synergist do for you? Synergist is trusted by many businesses for their project tracking, job costing and daily logging. The succinct information and heightened visibility that the software delivers, provides fact-based reports to aid big decisions and drive the business forward. But Synergist doesn't just benefit the whole business. There are a number of role-based benefits - from unearthing new project patterns to saving vast amounts of time, Synergist will help you in your daily tasks. 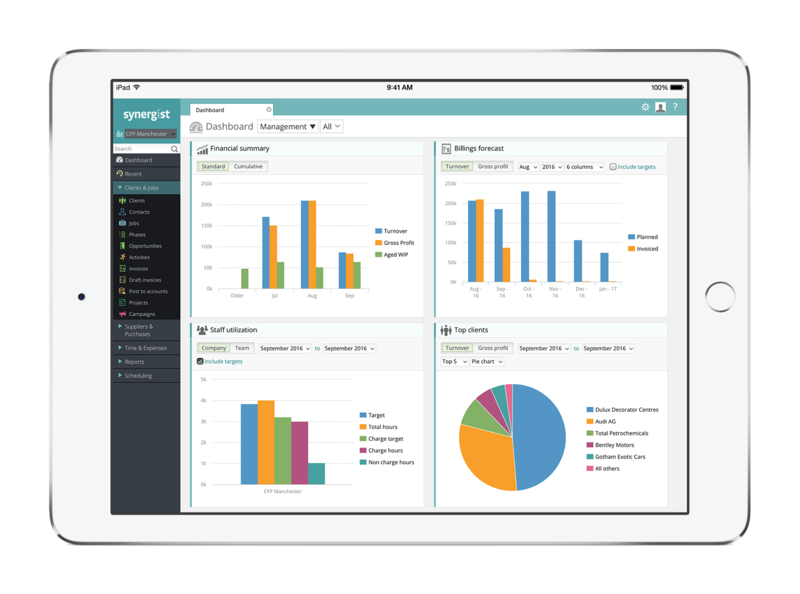 With Synergist, all your daily tracking and reporting is in one place, so you can trust the data you receive. This factual data empowers the whole team to become decision makers, and you can trust the decisions being made. You’ll gain confidence that everything is running efficiently, so you can focus your time elsewhere and steer the business forward. 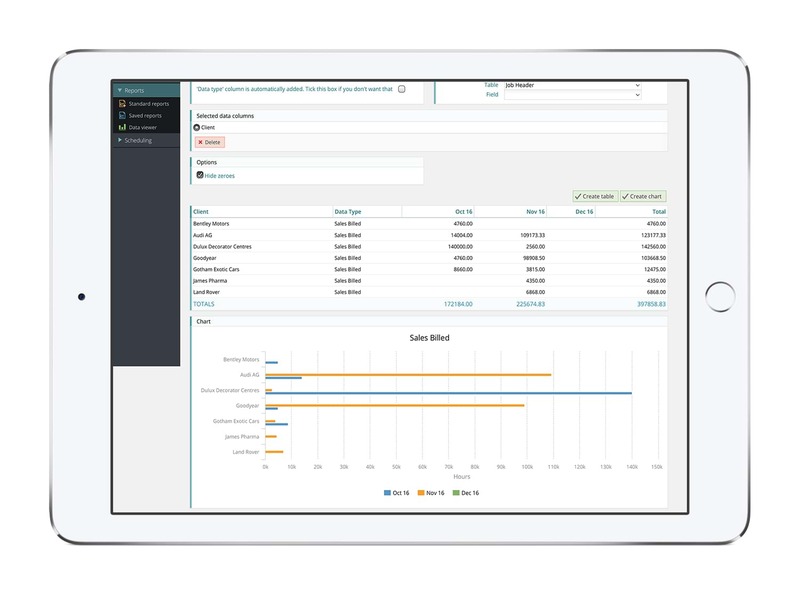 Synergist allows you to develop and automate as many reports as you need. No more time wasted chasing information, you'll see everything, including live visibility of jobs, in a report or via the handy dashboard feature. Having trusted data at your fingertips will give you greater control and the increased visibility will encourage a heightened commercial awareness across the business. 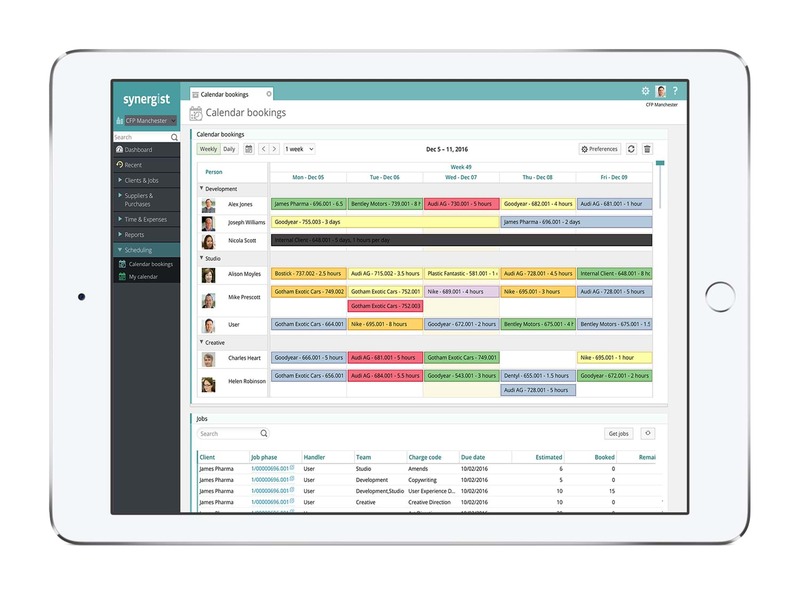 Synergist's job tracking functions give you a clear and accurate picture of project health at all times. You'll spot potential project issues quickly, enabling you to plug the leak and minimise the damage. You'll also have the data available, to prevent the same issues in future. With all this new data, you'll easily spot over-servicing and you’ll be armed with the facts needed to soften those difficult client conversations. 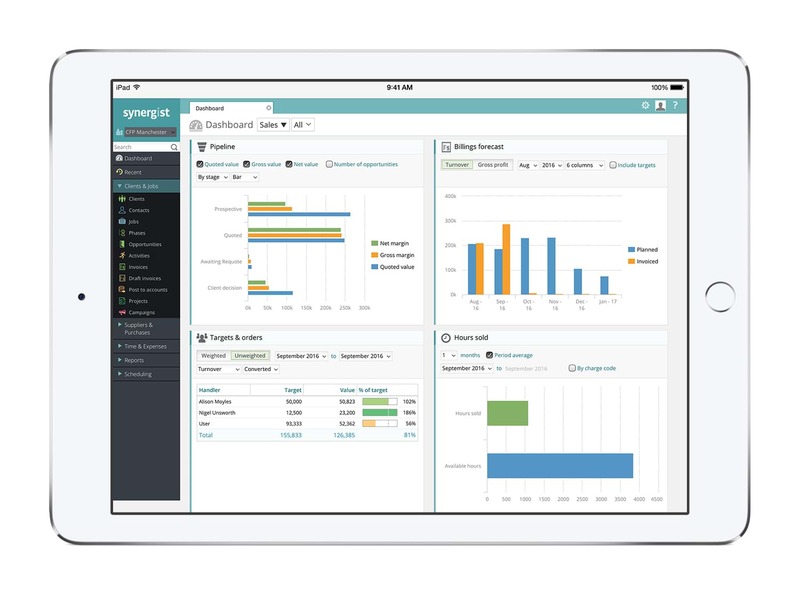 Synergist provides handy scheduling and dashboard tools so you can see what's in progress in real-time. Helping you adapt your resources to an ever- changing landscape, whilst making sure everyone's working at capacity. These tools take the emotion out of scheduling. Limiting internal upset over resource and stopping untracked hours from slipping through. Synergist benefits the whole team. The new visibility empowers better-informed decision making, and individuals can see how their decisions fit into the wider company. Synergist saves many roles a a great deal of time, allowing people to focus on what they enjoy so they can spend their days using their talents. So whatever your project-based business, be it engineering, environmental, civil and structural engineering, energy, architects or fire consulting - Synergist can help.